The arts are an innovative and informative way to juxtapose the study of historical figures, landmark events and social movements. New York City is renowned for its world-class museums, libraries, and cultural institutions that house important collections of original newspapers and photographs, audio recordings and film archives, art works and artifacts, and historic documents. Stagenotes.net is featuring institutions that offer teachers and students access to a vast array of visual and performing arts based materials, as well as educational group lectures and workshops. To plan a field trip or secure research materials for a class project, visit the website of these noted organizations. Hours of operation and admission policies will vary. 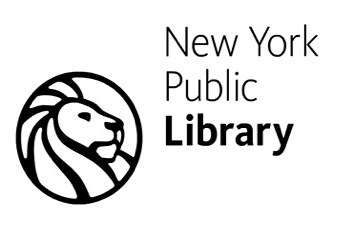 The New York Public Library for the Performing Arts houses one of the world’s most extensive combination of circulating, reference, and rare archival collections in its field. These materials are available free of charge, along with a wide range of special programs, including exhibitions, seminars, and performances. An essential resource for everyone with an interest in the arts–whether professional or amateur–the Library is known particularly for its prodigious collections of non-book materials such as historic recordings, videotapes, autograph manuscripts, correspondence, sheet music, stage designs, press clippings, programs, posters and photographs. The Metropolitan Museum of Art was founded on April 13, 1870, “to be located in the City of New York, for the purpose of establishing and maintaining in said city a Museum and library of art, of encouraging and developing the study of the fine arts, and the application of arts to manufacture and practical life, of advancing the general knowledge of kindred subjects, and, to that end, of furnishing popular instruction.” This statement of purpose has guided the Museum for more than a century. 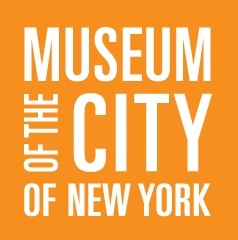 The Museum of the City of New York’s Theater Collection documents theatrical activity in New York City from the late 18th century to the present day. The heart of the Theater Collection holdings is the John Golden Archive, which consists of approximately 40,000 folders, organized into files on productions, personalities, and performance spaces. The files contain a wide range of material including photographs, contracts, correspondence, Playbills, manuscripts, advertising materials, reviews, obituaries, clippings, sheet music, autographs, account records, prompt books, and ephemera. The Museum of Modern Art is a place that fuels creativity, ignites minds, and provides inspiration. 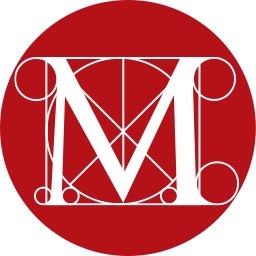 With extraordinary exhibitions and the world’s finest collection of modern and contemporary art, MoMA is dedicated to the conversation between the past and the present, the established and the experimental. Our mission is helping you understand and enjoy the art of our time. The museum also has its own libraries and archives that available for researchers by appointment. The Circulating Film and Video Library contains over 1,200 titles available for rental and purchase. 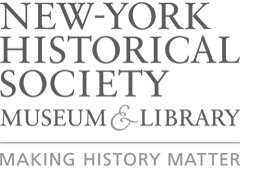 The Printed Collections form the core of the New-York Historical Society’s Patricia D. Klingenstein Library’s holdings and include staggering numbers of publications relating to New York and American history: 350,000 books and pamphlets; 10,000 newspaper titles (or over 1 million issues); 18,000 broadsides; and 15,000 pieces of sheet music. The Society’s ephemera collections also include theater Playbills and countless other types of material that were created for temporary use but have survived. 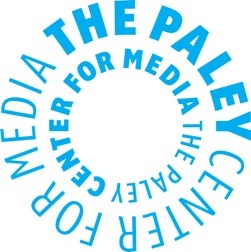 The Paley Center for Media has an international collection of nearly 150,000 programs covering almost 100 years of television and radio history, including news, public affairs programs and documentaries, performing arts programs, children’s programming, sports, comedy and variety shows, and commercial advertising. “Lost” radio and television programs recovered by The Paley Center for Media and preserved in the collection a Rat Pack benefit variety show, and James Dean performances. The collection also holds “The Ed Sullivan Show,” which was pivotal in making Broadway accessible to theatre fans who couldn’t make it to New York to see the shows live. Held by the Theatre Historical Society of America, the American Theatre Architecture Archive is one of the largest collections of theatre architecture related materials in the United States covering over 17,000 theatres. The collections contain photographs, negatives, slides, postcards, artists’ renderings, scrapbooks, books, periodicals, business records, blueprints and architectural drawings, supplier and trade catalogues, architectural artifacts, theatre furnishings, ushers’ uniforms, and numerous other items relating to theatre buildings and their history. Access to the Archive is available via an online catalog as well as in person in Illinois. To find out more about THS or to search the online catalog, visit historictheatres.org.